Horrorscreams Videovault - UK based horror site with news, reviews, interviews and more. 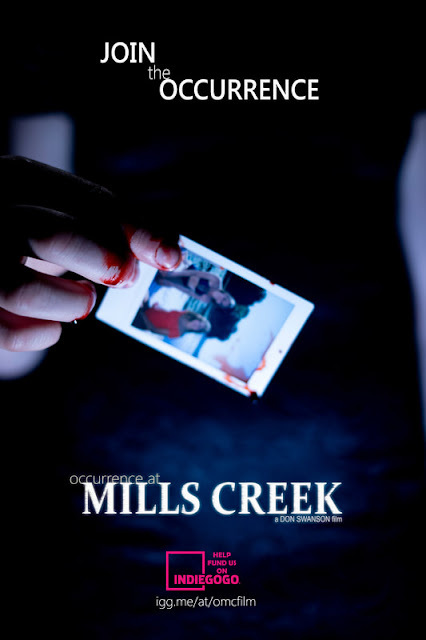 : INDIE HORROR FILM 'OCCURRENCE AT MILLS CREEK' NEEDS YOU! INDIE HORROR FILM 'OCCURRENCE AT MILLS CREEK' NEEDS YOU! The cast also includes Mia Zanotti from the 2015 season of NBC's The Voice, Dana and Grace Langshaw from Furious 7, award-winning actress Mary Sack, Alexa Mechling and Joe Fishel from the award-winning film A Wish for Giants, and introduces Ava Psoras, Betsy’s daughter, as Clara. Production is slated to continue this spring and summer with over 25% of the project already completed as a stand-alone short film that doubles as the first act of the feature.